We're just gonna let this one speak for itself! 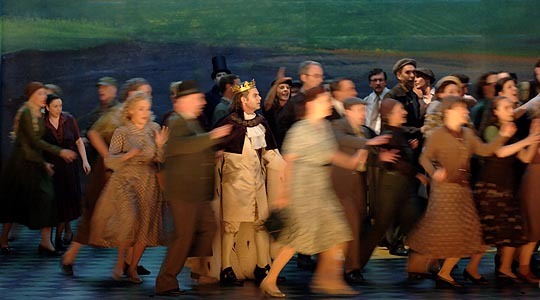 Titus im Bode-Museum Berlin's new production of Mozart's La Clemenza opens on October 29. More photos here, various cast here in Christoph Hagel's production. Click for more photos of men and women doing things! 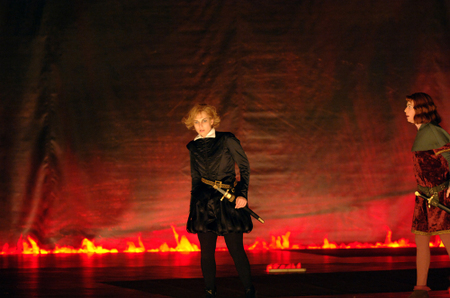 More exciting than the recent re-launch of the secksayawesome Dior addict ultra gloss reflect, tonight opens the much anticipated new Graham Vick-directed production of Mozart's La Clemenza di Tito for Teatro Regio di Torino's 2007-08 season. The staging has been updated to 1923, Mussolini's Rome replacing Tito's (back in the First Century CE)… all less than a month after Silvio Berlusconi won the general election here, placed a former fascist politician as the Speaker of the Chamber of Deputies, and another gentleman of the right wing persuasion got elected Mayor of Rome among shouts of "Duce! Duce!" 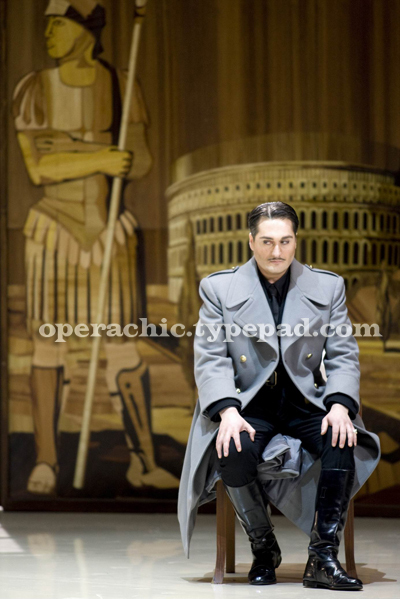 (confusingly, to Opera Chic still-Americanized ears it sounded strangely like "Douche! Douche!"). "Tito suffers from the modern dictator's dilemmas, he's not a saint in an elightened world, he's Rome emperor in an era of danger and intirgue. We're very far from Hadrian's philosophical image, Titus seems to discover his clemency while watching the bloodthirsty beats in the Coliseum; but Mozart, who understood deeply the human soul, no character has just one side, no one is wholly evil or wholly good". On the podium (conducting an almost-HIP-sounding orchestra of Regio di Torino) is maestro Roberto Abbado. Tito is Giuseppe Filianoti, Vitellia is Carmela Remigio, and Sesto is Monica Bacelli. Marika Schoenberg (Vitellia) & Kathrin Goering (Sesto) have fun in the tub for La Clemenza di Tito at Leipzig. 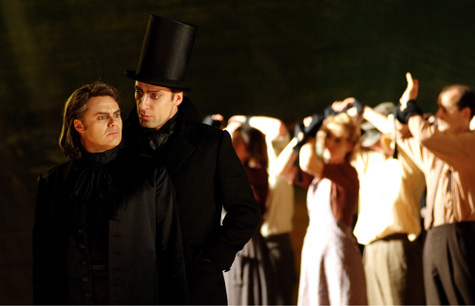 A co-production with Gran Teatre del Liceu, conducted by Christopher Hogwood and directed by Francisco Negrin & Derek Gimpel. An unintended consequence of the musical and dramatic perfection that is the Mozart/DaPonte trilogy is that most of the opera-going, Mozart-loving peeps affection is either poured on the trilogy and on the German-language operas (and OC may be in a minority but she considers Die Entfuehrung, musically if not dramatically, to be superior to the Zauberfloete). Poor La Clemenza, not less beautiful than these immortal works, sometimes gets shortchanged -- in OC's house, it gets almost the same airplay as the other works -- less than Don Giovanni, obviously, but more than Zauberfloete. So every staging of Mozart's Clemenza (check out Caldara's Clemenza, too, it's seriously awesome -- but our readers know OC warships Antonio) makes OC happy. 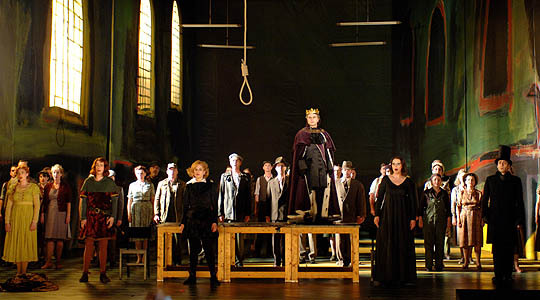 Berlin's Staatsoper Unter Den Linden is now presenting Nigel Lowery's staging of Clemenza, and we're biased because we always like Lowery's approach to stuff, he's that trademark Brit creature, a smartypants -- how OC likes smartypants! -- who hates stuffy dusty ideas but has the brains not to turn opera into a freak show. The Germans probably like him -- and hire him -- so much after being traumatised by their own "we'll-stage-a-123-hours-Ring-in-a-slaughterhouse's-walk-in-fridge-with-the-singers-wrapped-in-half-frozen-pig-carcasses" direktors, many of whom belong more in the dock at the Hague than in an opera house or a theatre anyway. Anyway, here's more of Lowery's vision for La Clemenza, in the beautiful images taken by Monika Rittershaus for the Berlin Staatsoper (republished here by gentle concession).